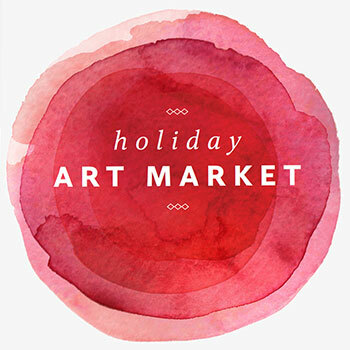 The Laurier Library’s 2018 holiday market takes place Dec. 3-7 from 11 a.m. to 5:30 p.m. in the Robert Langen Art Gallery. Showcasing the artistic talents of 16 Laurier community members, the market includes crafts, jewellery, paintings and much more. Prices range from a few dollars to a few hundred dollars for larger pieces. All are invited to stop by and experience the creativity of our amazing maker Hawks! The work was selected by a distinguished panel of judges. Proceeds go to support further investment in the creative work of Laurier community members. The Langen Gallery is located on the main floor of the Waterloo campus Library, just inside the main entrance on the left-hand side.